Distinguishing Characteristics: White female. Dark brown hair, hazel eyes. Brown's ears are pierced. Clothing/Jewelry Description: A long green wool coat and blue jeans. Brown was last seen leaving her Burlington, Vermont apartment on March 15, 1976. She was accompanied by William John Posey Jr. at the time. Posey was supposed to drive her to Connecticut to visit her boyfriend, Martin Gold. He was incarcerated on drug charges and Posey told Brown he was about to be released early. Brown never arrived to see Gold and has never been heard from again. When questioned about her disappearance, Posey initially said he had driven Brown partway to Connecticut, but he left her in Springfield, Massachusetts after they found out Gold was not going to be released from prison after all. Authorities believed Brown had been murdered, and Posey has always been the prime suspect in her disappearance and presumed death. A photo of him is posted below this case summary. Blood matching Brown's type was found on the seat and floor of his car. He was convicted of kidnapping in her case in 1981 and sentenced to life in prison, but was not charged with murder, as her body has never been located. Posey pleaded guilty to the abduction and murder of an Illinois woman in 1980 and is currently incarcerated in a North Carolina prison. He was considered a possible suspect in the 1978 disappearance of Judy Martins from Kent, Ohio. Posey lived in Kent at the time Martins disappeared. He was using the name John T. Scorpione at the time. She has never been located and her case opened 2018 by Psychic Brian Ladd. In 2008, Posey confessed to causing Brown's death after investigators promised him he would not face charges in connection with it. He said he never intended to take Brown to her boyfriend and only promised he would as a way of luring her into his car. He stated they never got much farther than Barre, Vermont. Posey tried to convince Brown to help him sell cocaine and when she refused, they got into an argument and he strangled her near the Shelburne Museum. He stated he dropped her body over a guardrail on Interstate 89 in Vermont, but couldn't remember exactly where. Brown's family accepted Posey's story and said they would hold a memorial service for her. Brown grew up in Enosberg Falls, Vermont. She graduated from Enosburg Falls High School and the University of Vermont. 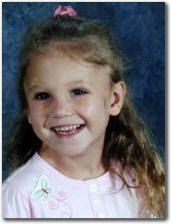 Investigators plan to renew the search for her remains.